We’re Ready for Hall-egg-ween! How About Boo?! Happy fall greetings to all of our egg-cellent Noah’s Pride fans! 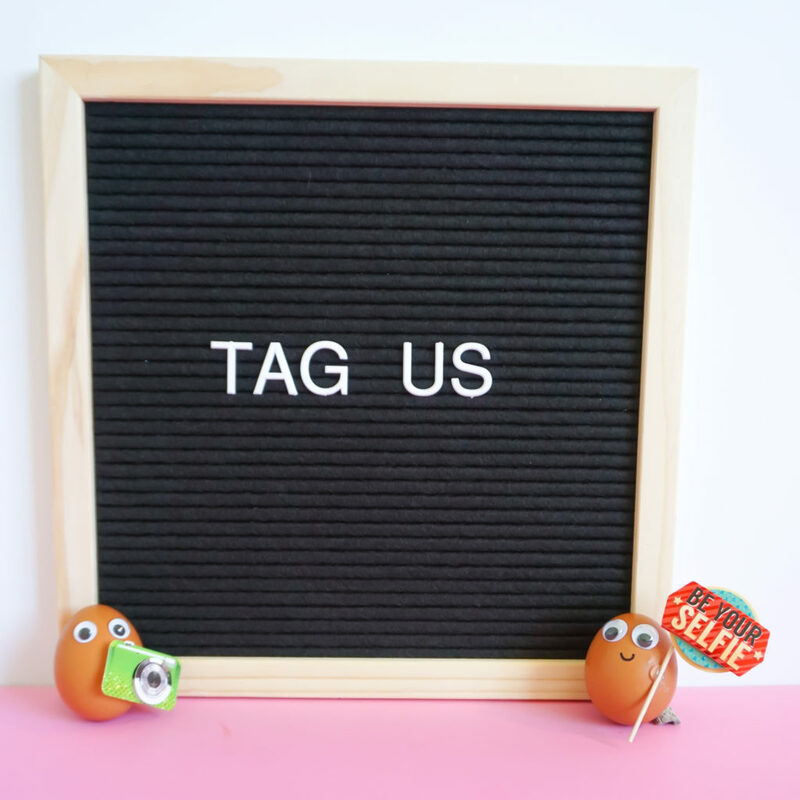 It’s Reggie here to tell you all about my silly egg family’s latest egg-ventures and why FALL is our eggs-tra most favorite season! Fall is the most EGG-CITING time of the year! There’s a chill in the air, we’ve got our pumpkin spice lattes, and the Noah’s Pride Eggs are looking forward to the tricks and treats of Hall-egg-ween! What could be better? It’s fall! And fun is hatching all around us! These are some of the things we’ve got on the eggenda this season! Our egg family loves a good trip to the pumpkin patch to pick a few for carving! Hall-egg-ween is not complete without a Jack-Egg-Lantern, of course. And what could be better than sipping on Kreider’s yummy Pumpkin Pie flavored milk while we choose our favorite pumpkins? Pumpkin spice lattes have nothing on Pumpkin Pie milk, we promise! Our home here in Lancaster County might be known as the world capital of community fairs that celebrate the harvest season with parades and special egg-vents! 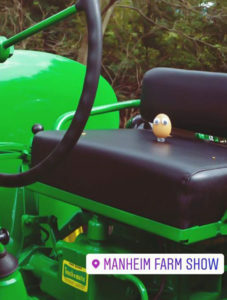 The fun boils over at these farm shows and eggs-hibitions every year, and we never miss our chance to enjoy udderly delicious Kreider’s treats sold by our friends — eggs-pecially in our own hometown at the Manheim Farm Show! Harvest time is hard work on our family farms, but it also calls for special cel-egg-brations! 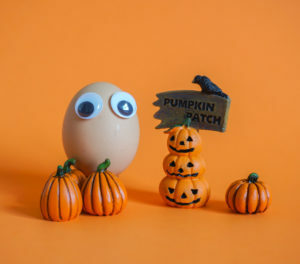 You probably guessed that our favorite thing about fall is deciding what to dress up as for Hall-egg-ween! Me and the other Egg-lets, Cregg, Jessegga, and Shelly, always try on lots of different disguises before we find the perfect one! 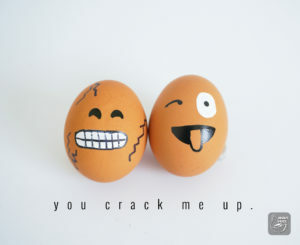 We love dress-egg up! What do you think we should be this year? 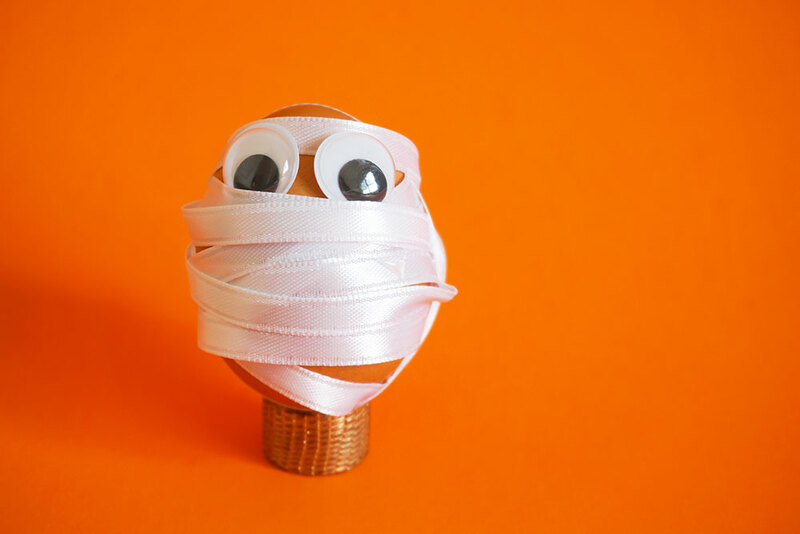 There’s no doubt that Hall-egg-ween is a spooky time, and telling scary stories makes the fright-tastic fun even better! And if the stories also make us crack up laughing, it’s the BEST! From the Legend of Sleep-egg Hollow to tales about Frank-egg-stein and deviled eggs, we all try to top each other’s eggs-hilarating tales! 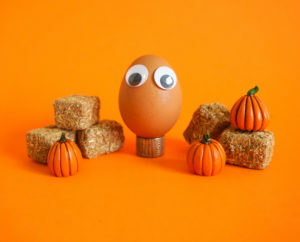 What are your favorite fall egg-tivities? We’d love to hear from you on our Noah’s Pride Instagram and Facebook pages! 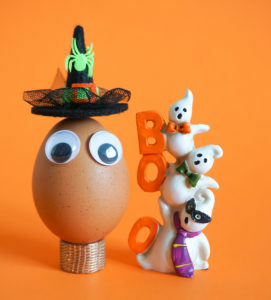 Tag us with your best Hall-egg-ween costumes! At Noah’s Pride, we care about our hens and we care about your food! Pick up our eggs-tra special eggs on your next shopping trip… and save with this special offer! Easter Egg Coloring Tips to “Dye” For! Like Eggs-travagant Recipes? Learn How to Make Meringue! How Does Our Egg Family “Beat” Cabin Fever? We Wish You an Eggy Christmas! ©2019, Noah W. Kreider & Sons. All Rights Reserved.